IRA Basics: What You Need to Know About Individual Retirement Accounts | Pure Financial Advisors, Inc.
IRA basics: What do you know about the individual retirement account, also known as an IRA? On tap today, contributing to an IRA, IRAs for small business owners, self-directed IRAs, and IRA mistakes to avoid. Plus, Joe and Big Al answer your questions – like what does an IRA make? How much do you know about the individual retirement account, also known as an IRA? 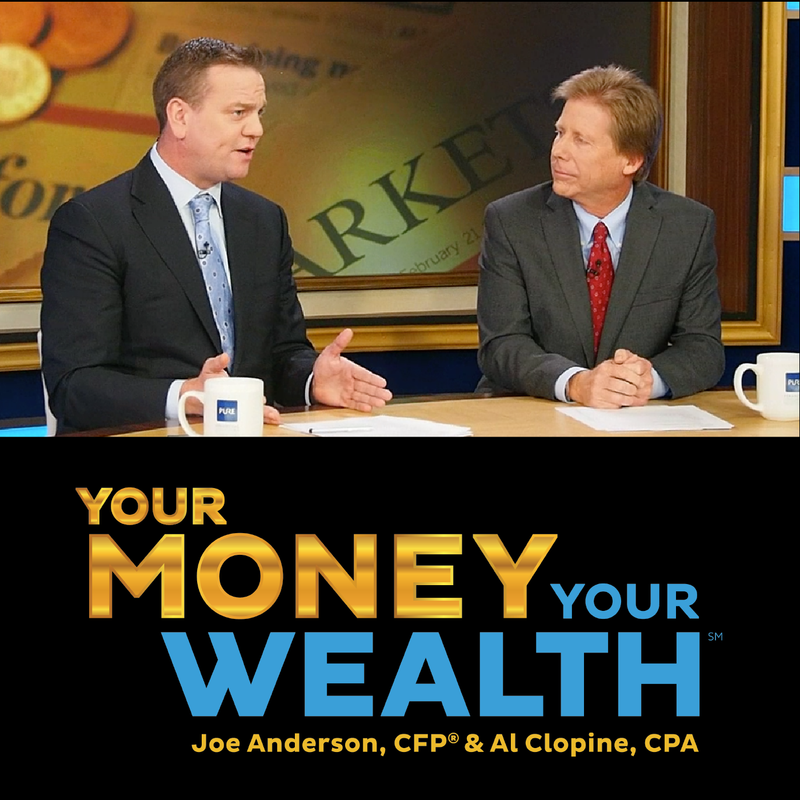 Today on Your Money, Your Wealth® Joe and Big Al are getting back to basics: contributing to an IRA, SEP and SIMPLE IRAs for small business owners, self-directed IRAs, and IRA mistakes to avoid. Plus, the fellas answer your questions – like “how much does an IRA make?” We’ve got a free white paper that explains each of the different types of IRAs, who can contribute, how deductible and non-deductible IRAs are different, and which IRA is right for you. Visit the show notes for this episode at Your MoneyYourWealth.com to download the “8 Types of IRAs” white paper. Your free gift from Your Money, Your Wealth. Now, with everything you could possibly need to know about IRAs until they think of a bunch more stuff next week, here are Joe Anderson, CFP® and Big Al Clopine, CPA. JA: Want to dive in, Alan, and kind of go back to some old school type education. And I want to get in a little bit to IRAs: Roth IRAs 401(k)s, and let’s kind of get the basics and we can talk a little bit more about some examples of the power of compounding. AC: Yeah I think that’s a good idea because most people know about IRAs, individual retirement accounts, or Roth IRAs, or 401(k)s or 403(b)s. You save some of your earnings in them. But there’s a lot of holes, I think, in people’s knowledge, so I think you’re right. Let’s start with the basic. JA: How much money do you need to retire comfortably? How much money have you saved? When is the last time you took a look at your IRA? Probably not as much as you should. This was a study done by the EBRI, Employee Benefit Research Institute. And they were looking at the amount American workers have saved for retirement. AC: Right. And so this is more than just 401(k)s and IRAs. This is for all your retirement vehicles. JA: And when they surveyed these individuals, 65 percent are confident that they will have enough money in retirement. 65 percent of people surveyed said they will have enough money in retirement! So then they said, “well how much money you got?” So what would you say would be a lot of money for retirement, that you would feel confident? AC: Let’s say half a million. JA: Half a million bucks. OK. Well, 11 percent of people that were surveyed said $250,000 dollars or more. 11 percent. AC: So 89 percent of the people don’t have $250,000. JA: 11 percent that were surveyed have more than $250,000 dollars. Twelve percent have $100,000 to $250,000. Twelve percent have $50,000 to $100,000. 13 percent have $25,000 to $50,000 and 52 percent have less than $25,000 saved. AC: So half the folks as part of this survey have less than $25,000 saved for retirement. JA: Yet 65 percent of them are very confident that they are going to have a successful retirement. AC: So would you call that wishful thinking? JA: I would call that lying on a survey. AC: Head in the sand? AC: And then, of course, this is for all ages. But then, when you look at people that are over 50 or over 55, it’s not a very different number. A little less. I don’t have the numbers in front of me, but II would guess maybe about 45 percent have less than $25,000 – something like that. So almost half. AC: (laughs) Well, you are right. We should explain: average is taking all retirement accounts and averaging it by the number of people. That’s actually kind of a less meaningful number than the median. The median is if you take all the people, half of them have an amount above that and half have below it. So when you have the average, you got some guy like Mitt Romney that has $100 million in his retirement, and I’ve got a dollar. So the average is $50 million. But I’ve got a dollar and he’s got a hundred million. JA: Exactly. So averages, again, are not that great of measure. AC: Yeah, median is a much better measure. So in other words, half people above, half the people below. JA: So if you look at the survey of 1,000 and then they look at the median. So 500 people have more than this number, 500 people have less. And that number for retirement savings from people 55 or older was $14,500. AC: Yeah. It’s not very high. So $15,000 of retirement. Let round it to $25,000, so at a 4% distribution rate that means you could pull out about $1,000 a year. Annually. So that’s less than $100 a month that you get from your portfolio. AC: (laughs) OK. So I guess the first thing to know is how much can you contribute. It’s $5,500 or $6,500 if you’re 50 years and older, but you have to have earned income. In other words, you have to have salary. Or you have to have a business, a sole proprietorship, where you’re profitable. So you have to have enough earned income to cover your contribution. JA: So it’s either your income or $5,500, which is less. AC: Correct. That’s exactly right. Now if you don’t have income but your spouse does, that can count. JA: So my spouse works. I don’t work. As long as the spouse makes $11,000, we both contribute $11,000. If she makes $10,000, she could put in her $5,500 but I would then have to put in $4,500. AC: That’s exactly right. And there’s no early age restriction. You could be 1 year old, if you’re a baby model and making $10,000 then you could set up – your parents would probably do it for you, you may not know how to do it yourself, I’m guessing, but $5,500 going into regular IRA or a Roth IRA. But there’s an upper-end limit, Joe, and that’s 70 and a half. JA: Age-wise, but not income wise. Age wise it’s 70 and a half to make a contribution to a retirement account for an IRA. AC: But not for a Roth IRA. JA: And then deductibility limits, Alan. So, if covered – so this where it gets a little bit convoluted. So if you’re covered by a plan, so that means you have a 401(k) plan or a like plan that you’re contributing to, that you’re an active participant in, it is $101,121. That’s the AGI limitation. So if you make more than $101,000 you start phasing out. If you are married, if you make over $121,000, you will not be able to take the deduction in an IRA if you choose to. You can still make an IRA contribution (editor’s note: Joe inadvertently said deduction) if you are under 70 and a half, but you just can’t take the deduction. AC: So in other words, I’m putting money in the 401(k), so I’m a participant in a plan. JA: I think the rules with participation is that I’m employed with an employer that has a 401(k) plan, even though I might not be putting a dollar into it. AC: Well actually, I do know that, because I research this. So as long as a dollar goes in for your benefit, whether it’s you or your employer contributing a dollar, you’re a participant in that plan. JA: If I do not contribute then I’m not? AC: If you don’t contribute and the employer does not contribute, you’re not a participant for that year. JA: Even though I have access to it, interesting. But I don’t know why you would rather go the $5,500 IRA route when you can just deposit it from your paycheck. AC: Usually you want to go 401(k) because more often than not there’s a match and so you get extra money. But for those that are putting money into a 401(k), you can also put money into an IRA, but you may or may not be able to deduct it, based upon your income level. JA: And then, for those of you keeping score, single $63,000- $73,000. $63,000 is when you start phasing out, $73,000, if you’re over that, then you can not deduct the IRA. AC: But it’s interesting you can still make an IRA contribution at any income level, as long as you have earned income and as long as you’re under 70 and a half. JA: And now if you’re married and you do not have a retirement plan at your employer, but your spouse does, then there’s income limitations there. It’s the same as the Roth IRA. It’s $189,000-$199,000. If you are married, of course, you would have to be, because the spouse is a participant in the plan. (laughs) Roth IRA contributions is $5,500, but for you to qualify for that, for married it’s $189,000 to $199,000, single, it’s, what, $120,000 to $135,000. So if you make more than $135,000 if you’re single taxpayer you can no longer contribute to that plan. AC: Now you can do Backdoor Roth IRA if your income is higher than those limits. If you don’t already have an IRA, you can actually put $5,500 into an IRA. You don’t get a tax deduction, and then you convert that to a Roth and then there’s no tax to pay because you got no tax deduction. That’s a backdoor Roth, which has been around for quite a while, and there’s always been at least a slight concern as to whether the IRS would allow those, because of what’s called a step transaction doctrine, but they came out a couple of months ago and said, “we accept the backdoor Roth contributions, so you can do that. If you already have an IRA, it gets much more complicated. JA: Hey, we’re talking all about IRAs were getting your IRA ducks in a row. AC: (laughs) You worked on that all week? JA: I did. I did, I wrote it down, I rehearsed it, and I still blew it up. Let’s talk about a SIMPLE IRA and a SEP IRA. Those are still IRAs. Because we’re just giving the basics. So individuals can contribute to IRAs, but how about if I have a small business? AC: Yeah, if you have a small business and it’s profitable, then you can set up a SIMPLE IRA, you can set up as SEP IRA. I’ll start with the SEP. That’s usually where people start, a simplified employee pension plan. So the way that that works is, you can take 20 percent of your bottom line profit from your sole proprietorship, or from your LLC, or from your partnership. And that’s the amount that you could put into a SEP IRA. $55,000 this year is the limit but you’d have to divide that by 20 percent, you’d have to have over $200,000 of profit to be able to put that much in. So let’s say $100,000 is your profit. You could put $20,000 into a SEP IRA. That’s the calculation. And the reason why that’s very popular is that’s a plan that you can set up after the fact. So in other words, you can still set up a SEP IRA for 2017, as long as you extended your tax return. So you could still set it up and fund it all the way till October 15th, 2018, for 2017 taxes. So that’s usually the first plan that people select. The problem with the plan is that if you have employees and they’ve worked with you for parts of three years, they only have to make, I don’t know, about $600, $700 in a year to count as a participant. If they worked for three years, then you have to include them in the plan and the 20 percent of their salary too. And it’s fully vested right at that point. So as a consequence, usually when folks have employees, then they might gravitate over to SIMPLE IRA and a SIMPLE IRA is kind of like a 401(k). So the employers decide how much to withhold from their own paychecks and then you, as the employer, have a match. There’s a 2 percent match and a 3 percent match, depending upon how you set up the plan. JA: So $12,500 is the maximum that you can put in as a participant in a SIMPLE IRA and then there’s a catch-up if you’re over 50 of $3,000. So it’s $15,500 total for a SIMPLE IRA, and then you can elect to say a 2% match across the board, or dollar for dollar 3%, depending. So if you have a lot of employees and no one is going to participate and you’re like, “OK well, I’ll match you 3 percent on the participation. No one’s going to participate, then I save that money.” Or others, instead of saying, “if everyone’s going to participate, and I don’t want to match 3 percent, then I can just do the 2 percent on the deferral. AC: That’s a good point – just to say it another way, so you pick two percent, you have to match 2 percent of everybody’s salary regardless if they contribute or no. The 3 percent rule is 3 percent of only what they contribute. JA: And there’s something that’s called a SIMPLE 401(k) which has the same basic rules, but it’s under section 401(k). And I really wanted to set up a SIMPLE 401(k) instead of a SIMPLE IRA. And why do you think I wanted to set up a SIMPLE 401(k) versus a SIMPLE IRA? AC: The limits are higher. AC: Oh, there you go. JA: Because of the aggregation and pro-rata rules. So let’s say I’m a small business owner. I have some employees. I know that they’re probably not going to contribute to the plan, so I’m going to set up a SIMPLE 401(k) plan. And then I’m going to roll my IRA that I have, let’s say half a million bucks in my IRA, I’m going to roll that into the SIMPLE 401(k). I’m going to contribute to the SIMPLE 401(k) plan, my employees have an option to contribute to it, but they’re low wagers and they don’t necessarily want to participate. So I save some money there, I can increase my contributions versus going with the standard IRA. But that opened the door for me at that point to say, “I don’t have any IRAs. So now I’m going to contribute to a non-deductible IRA and convert it,” and 100% of that conversion is going to be tax-free. JA: Right, the pro-rata rules and aggregation. AC: Yes, but that doesn’t apply to 401(k)s interestingly enough. So that is a good way to go. Now a lot of times then, folks will go to a Solo 401(k) or a SIMPLE 401(k) if they want to contribute more because that’s $18,500 per participant or $24,500 if you’re 50 and older. JA: Solo 401(k)) or Safe Harbor 401(k). You used SIMPLE. AC: Thank you. Yeah. So the solo K is when it’s just you. You and/or your spouse. That’s a single participant, and so very simple. When you get to a Safe Harbor 401(k) it’s more complicated and there are some setup charges, some annual charges. And that’s because now that you’re to the point where there needs to be a third party administrator, generally, that’s doing some work for you that you got to pay for, and you cover your employees, a lot of folks that have small businesses that want a plan like that go SIMPLE IRA because it’s cheap. JA: It doesn’t cost them anything to set up. 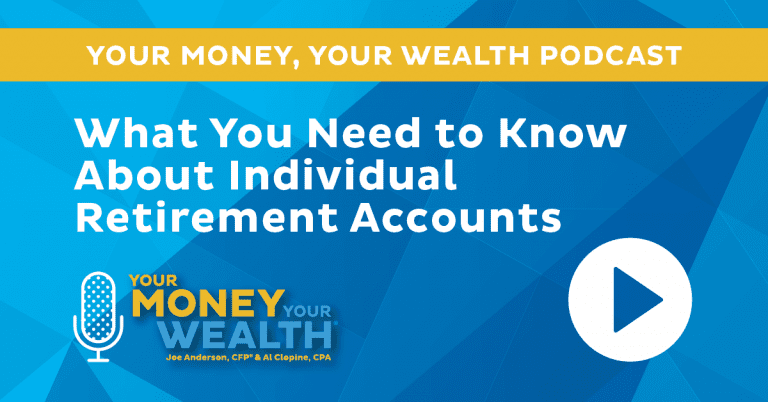 AC: You set up an account and you show your employees, “here’s what you can do,” where a safe harbor 401(k), it’s much more complicated, much more expensive. JA: This is the whole problem I think with the retirement planning landscape for lack of a better sentence. (laughs) Because it’s all bull B.S. All right, I’m a small business owner. I’m employing people, I’m helping people out, and I want to help them for their future. But the stupid rules, I have to do a Safe Harbor 401(k) plan. Well now I gotta spend $3,000 to set up the plan, I’m fine matching, but then I’ve got to file 5500’s and I got to do all this other stuff. Or if I’m a solo individual and say, “I’m going to fire all my employees, make more profits, take more time off,” then I can set up myself a solo 401(k) and spend, like, $8 to do it. AC: There are no annual fees. It’s just an account. JA: Until you get to a certain dollar figure, then you’ve got to file 5500s, but what does a 5500 tax filing take if you’re just a single 401(k)? AC: Yeah. Couple of hundred dollars, $300. JA: I mean you could do it yourself and it’ll take you seven minutes! It’s pretty easy for a solo 401(k). AC: They actually have that form, the 5500EZ on a postcard. JA: Exactly. So you got that individual, then he or she could put $24,500. AC: Right. Plus employer match. Now once the balance of the plan gets over $250,000, that’s when you do file those 5500s. But they don’t have to be very complicated. AC: Look at you. I actually learned something today. JA: Yeah, I’m taking it to the Hill. AC: (laughs) Are ya? It’s going to be the Anderson Bill? JA: It’s simple plans 401(k)s, 403(b)s, 457, SEPs, Keough, profit sharing, I mean the list goes on and on. It’s unfair. One plan. The Jo-Jo plan. $25,000, pre-tax, call it good. Anyone can contribute. JA: (laughs) I would just say whatever – $25,000, period. Done. Everyone. You’re good. I wonder how many people under 50 actually would max it out to 24 or 25? AC: Not too many, based upon this survey we just looked at. JA: How many people under 50, or 50 years of age or older, what do they have? AC: Right. We need more, more, more 401(k)s not less, less, less. JA And we need a standardized plan so that everyone can do it. AC: That’s where we get upset. So maybe you work at a company that has a 401(k) and you’re over 50, so you put $24,500 and then you put $6,500 into your Roth IRA or regular IRA. So that’s pretty good. Your neighbor, they’re working at a company next door. Makes the same amount of money. No 401(k). So they’re limited to the IRA only – $6,500. So I put in over $30,000, they put in about six grand. JA: But then that other person now needs to find a way to save that extra in a brokerage account, but the likelihood of them doing that is pretty hard. AC: Typically when the money is in your hands it’s easy to spend. You listen to Joe and Big Al on the podcast every week, ever been curious what they look like? Check out the Your Money, Your Wealth TV show and find out! Visit YourMoneyYourWealth.com to watch the latest episode, Revive Your IRA, and download the free IRA Guide while you’re there. It’s wall-to-wall IRAs this week! Be sure to subscribe on YouTube, new episodes of the TV show post every Sunday. JA: Talking about IRAs, Roth IRAs, SIMPLE plans, 401(k) plans, SIMPLE 401(k)s, SEPs. Alan, what does your IRA make? AC: That’s right. So here’s what you need to think of: an IRA and a Roth IRA are retirement accounts. They’re not investments. We like to call it a “shell.” It’s a shell, it’s just like any kind of account except it’s a retirement account. So you can invest in all kinds of things, like stocks and bonds, mutual funds, ETFs. That’s that’s typically what – you might want to invest in CDs, at least for some of your portfolio. But that’s generally what you do. And you can go to your bank to do this. You can go to a national custodian like T.D. Ameritrade or Fidelity or Schwab. Vanguard would be another one. JA: Yeah, a mutual fund company or big brokerage firm like Merrill Lynch. Whatever. AC: Sure. And so what you’re going to make is completely dependent upon what you choose for the investments. Which, if you don’t have a retirement account, it’s the same thing – whatever you invest, that’s going to determine your rate of return. Not the fact that it’s an IRA. So I think that’s the most important thing. JA: Yeah, don’t be confused too, it’s like “I had this IRA at XYZ custodian and that company stunk, it didn’t do anything, it didn’t make very much money, so I don’t like Roth IRAs.” Please. No. It was your investments. It was what you picked, what you selected or what someone advised you to put into that particular shell. The Roth IRA has nothing to do with your investment. AC: Now some people like to do, I would call it, non-traditional investments, which you can do in an IRA. It’s called a self-directed IRA. You’re not going to be able to do this at Fidelity or Schwab or T.D. Ameritrade. You have to go to somebody else that will allow you to put real estate, a hard asset. JA: What was that… Morgan Stanley? What the hell am I thinking? JA: Yes! Amanda B. Johnson. What was – Dash. AL: That was the name of the company she was spokeswoman for. AC: I do remember her. She does a whole bunch of videos if you want to learn about cryptocurrency, check her out. JA: I guarantee it’s blown up. Just like Bitcoin. AC: So anyway, if you want to invest in a hard asset, you can. A common one, Joe, is real estate, and I’m going to discuss a few reasons why you might or might not want to invest in real estate in an IRA. So here are the most important things to consider, I guess. Real estate being a hard asset, it’s difficult to buy in an IRA. You can buy it in an IRA, but it’s difficult to do. The thing about real estate in an IRA is you can’t really borrow, because it’s an IRA, so you have to have enough cash to pay cash for real estate. And typically you earn your greatest return when you’re borrowing against the bank, so you’re using other people’s money. So that’s one problem. If for some reason you can get a loan in an IRA, then what happens is you have unrelated business income tax you have to pay in inside of the IRA. Now there’s no depreciation deduction. JA: How is that calculated, UBIT tax? AC: Well, let’s say you’ve got a loan that’s $60,000 on your $100,000 property. So that’s 60%. So 60% of your income is taxable in the IRA, and so you have to pay the tax inside the IRA. Or if you sell the property and made this big gain, 60% of that gain is taxable inside the IRA. JA: So having leverage in a property – it kind of ruins the whole thing of having the tax deferment of it. AC: It does. Then you get to the point where the real estate investments are very tax-favored outside of retirement plans, so you can take depreciation deductions against your income and make some of the income tax-free. You can do 1031 exchanges. And so when you sell a rental property, you can buy another one and not pay any current tax. And then a real important one is when you pass away, if you have real estate outside of a retirement plan, your estate, your kids, get a step up in basis so they can sell the property with no tax. If it’s inside the IRA, there’s no step-up in basis. And so the kids will pay all the tax on that that you would have paid. Then to make worse, at 70 and a half you have to take a required minimum distribution. Sometimes your rental income is not enough to cover a required minimum distribution. So then how do you do that? Then you’re kind of in trouble because if you don’t do the required minimum distribution it’s a 50% penalty for your shortfall. JA: Right. Or how about if you need repairs? You can’t add money – it’s a contribution if you put money into it. AC: That’s another thing. Yeah, so the property is falling apart and you need to fix it up and there’s no money in the IRA, there’s no cash. It’s like well, I’ll just pay for the repair myself. No, that’s a prohibited transaction. The IRA has to pay for the repair. Or like if it’s a vacation rental and you want to go spend a night there. It’s a prohibited transaction, blows up the whole IRA. So for these reasons, Joe, I don’t think I’ve ever recommended owning real estate in an IRA. JA: Yeah the only way I think it makes sense for people if you’re in the business of real estate and you’re in the business of upkeeping or upgrading or flipping, in a sense. You have accessibility to really cheap labor and to cheap materials and you can do the labor or most of it yourself, and you’re going in there and you’re potentially going to flip. AC: Yeah, but you can’t even do the labor yourself, because that’s a prohibited transaction, so you’ve got to have someone else do it. JA: You’re avoiding taxes, so if I’m buying and selling and avoiding the short-term capital gain, which is taxed at ordinary income rates and I can defer that, that makes sense. Or if I’m looking at buying and selling every couple of years then maybe it makes sense. But I think those are very small benefits compared to all the negatives. But why the hell is it so popular? Because that’s where all the money is, probably. AC: Well, it’s popular when the stock market crashes, because this is a hard asset. JA: Oh. So I can drive by drive by and see it. AC: Yeah, you can look at it. It’s a real asset, it’s not this fake paper asset. So that’s when it becomes popular. But I love real estate as an investment, but my recommendation is to invest in real estate outside of your retirement accounts. JA: Yeah, without question. And you need time and you need cash flow. AC: Yeah. And you need a reserve. All of these things. JA: So do we look up? Yeah, looks like Dash is doing pretty good. AC: So it went down about 80%, 90%. There you go. So yeah. Be careful of cryptocurrencies in your IRA as well. (laughs) I guess that goes without saying. JA: Yeah. There are some sad stories there. It’s the get rich quick kind of schemes. I’m not saying that cryptocurrencies are going away. But I think when you see a big run up people get that greed factor going in. I read an article I forget where it was from, but it was like, some 65-year-old lady put her life savings in cryptocurrencies. Yeah, and it’s 85% less. AC: (laughs I’m actually a tax guy that likes real estate, to be honest. JA: (laughs) That is pretty intelligent. AC: (laughs) More recently I’ve gotten into stocks and bonds. But anyway, so I don’t know exactly when she got in, got out. But I do know that Bitcoin was, what, $17,000 something? Now it’s $8,000. Something like that. It’s down significantly. So anyway, just be careful with these kinds of investments and follow Warren Buffett who says don’t be investing in this kind of stuff. AC: No matter what it is. AC: And I did hear him say to be very cautious investing in cryptocurrencies. JA: I believe that is true. If you’re a complete crypto newbie and you’re crypto-curious, check the show notes at YourMoneyYourWealth.com to listen to the episode where we learned all about blockchain and cryptocurrencies with Amanda B. Johnson. She did a great job of explaining it all in plain English. Time now for Big Al’s List: Every week, Big Al Clopine scours the media to find the best tips, do’s and don’ts, mistakes, myths and advice to improve your overall financial picture – in handy bullet-point format. This week, they planned to do 5 IRA Mistakes, but they only had time to get to four, so here are 4 IRA Mistakes. AC: OK we have ’em listed right here. Mistake number one: not taking advantage of the spousal IRA for a non-working spouse. What does that mean? JA: I would say we see this mistake often, and what that means is that if you have a spouse that is working and you are not working, you can still contribute to a retirement account, as long as there is enough earned income there. So it’s like you retired but you still want to load up on Roth IRA contributions. Sure, if you can. So one spouse is still working, one spouse is retired, and you have excess cash flow, make sure that both spouses are still contributing to the retirement account. AC: Right. Have you ever seen a case where a husband or wife, doesn’t really matter which, is 65, retired, and the other spouse is 40 and still working? And there may be many years of earned income. So you might as well keep contributing to a Roth IRA during that whole period of time. JA: Yeah without question, because that is going to compound tax-free, so spousal IRA contributions, mistake number one. AC: Number two is not taking a required minimum distribution at age 70 and a half, or not taking enough. JA: Yeah. Sometimes people get confused on the math. AC: Because there’s all these dates and years, and how do you figure out how much to take out? JA: And if you have multiple IRAs or multiple retirement accounts. First of all, required minimum distribution starts at age 70 and a half and that’s a mandate by law that you have to start taking money out of your retirement account. The reason for that is that the IRS wants their tax. So it’s a divisor based on life expectancy. And so if you look at that in percentages, what is it, 27.4? AC: Right. Divide your IRA balance by, yeah I think it’s 27.4. It’s about 3.7%, give or take, of your portfolio. JA: So at age 70, the IRS is saying that you have 27.4 years left of life. AC: Yeah that’s that’s through that calculation comes from. JA: And then the next year, you have 26.5 years of life. AC: And they’re actually not saying you’re going to live to 97 or 98, but what they’re basically saying is, “we don’t want you to drain your IRA before age 97, because what if you live longer?” So that’s that’s why they’re doing that. JA: You think that’s why they’re doing that? AC: I do, because life expectancy at 70 and a half, male or female, is probably late 80s. JA: So you think… This is interesting. AC: I do. You never thought about it that way? AC: That’s definitely not life expectancy at age 70 and a half, 97. JA: No, no, I understand that. Well, I don’t know, if I make it to age 70 I think my life expectancy is probably higher than the normal life expectancy, it’s probably about 87-88. AC: I agree with that, but this would be 97. JA: So you’d think the IRS set up the required minimum distributions to protect people from running out of money?! JA: Oh my god! Wow. JA: (laughs) Constantly. It’s like, “the IRS is really looking out for us, so if you only take the required distribution out, then I think you’ll never run out of money. AC: And so what’s the divisor when you’re age 97? JA: Uh, the divisor when you’re age 97, it’s 7.6. AC: So you’re still going to live another seven years at 97. AC: (laughs) This would be all screwed up because he says we get to live to 120. JA: I hope so. I really do. AC: Anyway if you don’t take enough required minimum distribution, there’s a 50% penalty. Five zero. AC: (laughs) Yeah they’re not looking out for us at all on that one. They do have rules, after all. Number 3, paying unnecessary penalties on early distributions. So if you’re taking money out of your IRA before age 59 and a half you’re going to get 10% federal penalty. In California, it’s another two and a half percent state penalty. JA: Yeah, there’s ways around that. You can do a 72T tax election, or separate equal periodic payment, it’s called. So if you want to retire early and all your money is in a retirement account, you can take dollars out of your retirement account prior to 59 and a half if it’s in an IRA. What a lot of people don’t know, Al is that there’s an exception to the rule if you retire from your employer at age 55 or older. So you have to separate from service from your employer at age 55 to be able to take distributions from that retirement account without a 10% penalty. AC: Yeah. And no matter what we’re talking about, you still have to pay taxes on the money that you pull out. So you always pay income taxes, it’s just that if you’re taking it out before 59 and a half on an IRA, generally it’s a 10% penalty – and you’re right, a 401(k), if you separate from service while you’re age 55 or older, you can start taking money out of that 401(k) without paying a penalty. You don’t have to be 59 and a half – you still have to pay taxes, income taxes on what you pull out. JA: And it has to be from that plan. If you have an old 401(k) plan from another employer and you separate from service from a different employer at age 55 and you dip into that other 401(k) plan, the rules do not apply. It’s not all 401(k) plans. You have to be the active participant in that 401(k) plan at age 55. So how you do that is, you just roll your old 401(k) plan into your new 401(k) plan, you separate from service at age 55, then you can take advantage of that rule. AC: The number four mistake is rolling a low-cost-basis company stock from your 401(k) into an IRA. JA: Yeah, that’s called net unrealized appreciation. It’s just taking low company basic stock outside of the retirement account and putting it into a brokerage account. You would pay ordinary income tax on the basis. So you bought the stock for a dollar a share, it’s worth ten dollars a share today. You moved the full ten dollars a share out, but you pay tax on the buck at ordinary income rates. That $9 of appreciation is called net unrealized appreciation because it was realized inside the IRA. So when you go into a brokerage account, you can sell it at capital gains rate. OK, that’s it for us today hopefully enjoy the show. We’ll see you guys next week. The show is called Your Money, Your Wealth®.